One of my buddies and I went on a search for cheap Mexican food (different from all the restaurants I had already tried). The first stop was surprisingly closed and the second had bleach-tasting water. We finally stepped into Don Pedro Carnitas on 18th Street in Pilsen. I had somewhat of an idea of how this restaurant worked... so we sat down and ordered the carnitas. 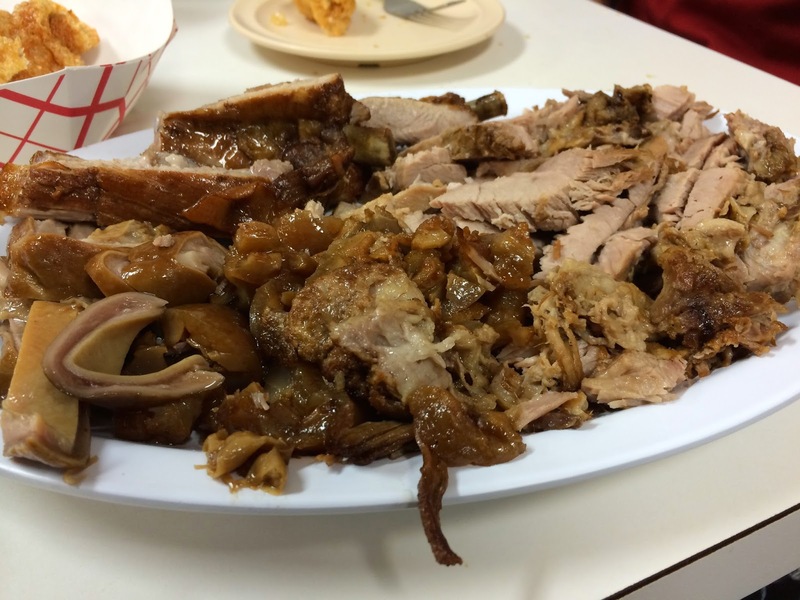 The dish comes in two sizes and either pure meat or a mixture of meat/stomach/skin and other parts of the pig. We decided on the "mixtas" platter so we had a little bit of everything. All of that meat and innards is served with salsas and tortillas so just sit back and have few tacos. The service is OK with the waitresses having a little difficulty with English. It is cash only, making it a little inconvenient for some. It is hard for me to like a place when I love Carnitas Uruapan (which is about 1-mile west of this restaurant and cheaper). Because of the better carnitas restaurant just a few blocks away and the higher prices at this one, I decided to give Don Pedro Carnitas and average rating of 3.5-miles. As you can see from the top and bottom pictures, we ordered essentially the only menu item and the meal the restaurant is known for--Carnitas. We chose the "mixta" version and the larger size. This meal comes with a large plate of mixed pork meat that includes white meat, dark meat, ribs, stomach, cheek, and roasted skin. It also comes with a few pieces of the fried chicharones, a dozen or so tortillas, and of course their house made salsas. They describe this order being large enough for 2-4... I don't see it being enough food for 4, but I will easily see 2-3 getting full. Anyway, the food itself is very tasty. 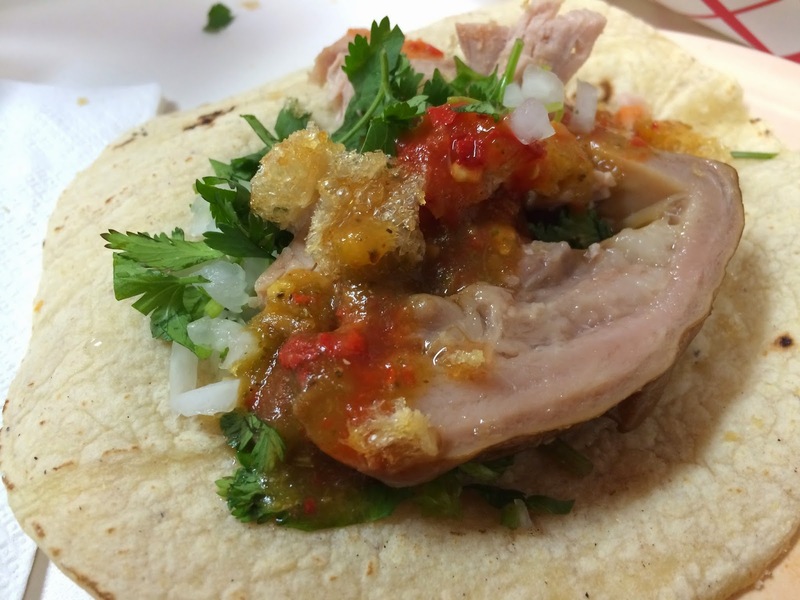 The pork carnitas by itself is moist and has that classic roasted flavor. I do wish they used a little more Mexican seasoning. They only reason I knew it was Mexican was from the several salsas on the table. 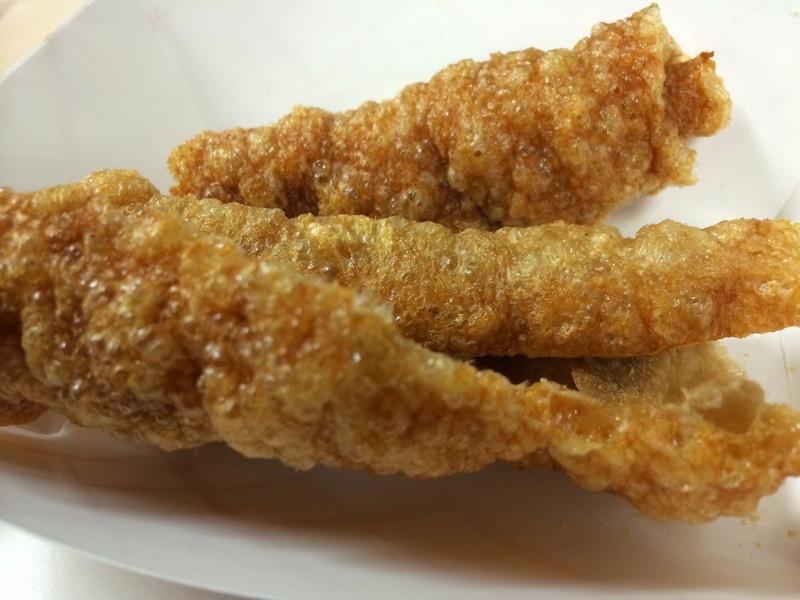 The chicharones were just OK. In my opinion, they were very dry and needed some kind of vinegar to help relieve that dry texture. At $20 with two sodas, the price is a little high for carnitas. There are better places which are more reasonably priced just down the road. - When you walk in, go ahead and have a seat. Look at the menu on the back of the napkin holder and order. I suggest the carnitas mixtas (large platter)... good enough for 2-3 to eat (not the stated 4). - If you want brain tacos, come here. I believe they serve them on Tuesdays-Thursdays. - Don't forget CASH. This place is CASH ONLY and the ATM in the restaurant charges a $2.25 fee.